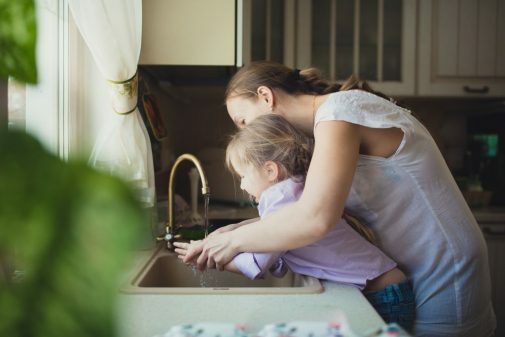 While it’s difficult to keep a tidy home with kids, pets and busy schedules, some people seem to excel in this department, while others struggle. “Having a home that is in disarray can cause stress, which can be detrimental to your health,” says Dr. Rian Rowles, a psychiatrist affiliated with Advocate Christ Medical Center in Oak Lawn, Ill.
Dr. Rowles says that stress and fatigue develop when people feel overwhelmed with the mess. “A disorganized home can also lead to worry and tension when needed items are misplaced or bills are lost, leading to late fees,” he says. “If a home becomes too cluttered, it can also be harder to keep clean,” says Dr. Uma Gavani, an allergy and asthma specialist on staff at Christ Medical Center. She cautions that dust mites, pet dander and mold lurk in clutter, which can trigger allergic reactions, decrease air quality and increase potential asthma problems. 1. They follow the rule “a place for everything, and everything in its place.” And they return the items immediately after use. Towels are hung up after use or deposited in the hamper. When finished, laundry is put away. Clothes are hung up or placed in the laundry basket when removed – not thrown on the floor or tossed on a chair. Coats, shoes and bags are put away upon arriving home. Street shoes are not worn in the house – because they carry dirt. A system is in place for processing mail, paying bills and filing. Unwanted paper items are placed directly into recycling. Once a project is finished or dinner has been prepared, the items used are quickly returned to their storage areas. 2. They constantly mini-clean, which eliminates the need for major deep cleaning sessions on the weekends or during their free time. Dishes aren’t left in the sink – they are either washed and dried immediately or rinsed and placed in the dishwasher. Counters are wiped after each use and water is not allowed to stand. Messes are cleaned up immediately after happening. Beds are made every morning. Items from grocery and shopping trips are immediately put away. 3. They know if you have too much stuff, you will eventually run out of storage. There isn’t a need for multiples of items when one or two will do. Possessions (toys, shoes, clothes, household items) are constantly evaluated and donated or recycled when no longer needed. Too many knickknacks leads to clutter and makes it harder to keep surfaces clean and dust free. Too much furniture means more moving out of the way when you need to get floors thoroughly cleaned. Those with tidy homes are constantly cleaning and straightening up, as they know it’s easier to keep something clean than to let it go and deal with a huge mess later. However, it’s not just one person cleaning up for everyone; the whole family is on board. Do you have a suggestion for keeping your home clean? Please share in the comments below.